Rusting steel is a long, natural, time intensive process. We speed up this process through a unique application of chemically oxidizing our product in order to provide the doors in a reasonable time for installation. While all panels will rust over time, deviation from panel to panel is natural and to be expected. The coloring of the doors will also change over time with the natural movement being to the darker side as the elements take their effects. Each finish is unique! Our doors are created to function as unsealed raw rusted steel doors. While sealing the doors is an option we offer at an additional cost, we recommend that the product be left in its natural state. This offers numerous advantages. 1. All sealers used on metal or paint products will oxidize and deteriorate over time, this is especially true on the large surface area of a garage door where the temperature on the face of the door can reach over 160 degrees in the Arizona summer sun. You are in effect creating a life long maintenance problem if you seal the doors, they need to be re-sealed every 2-3 years at substantial additional cost. 2. Once you seal the doors you are stuck with that pattern of rust and color forever. Leaving them unsealed allows the natural beauty of the rusted colors to change and enhance your door over time. 3. the original additional added cost of sealing the doors should not be overlooked. 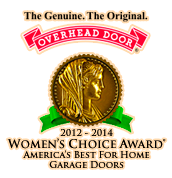 The authentic rusted steel doors from ODC Tucson are built to last. The base for building these doors is a superior Thermacore product. Thermacore has a minimum r-value of 9.31, the importance of the insulation value of your garage door cannot be understated in Arizona on a dark steel door, without superior insulation you have massive heat transfer when the surface temperature is up to 160degrees! Enjoy the enduring beauty and low maintenance of our authentic, aged rusted steel doors. Please note that all ODC Products are made in the USA and the rusted steel is custom fit in our shop to ensure a pefect fit and add maximum value to your home.